At the February 9, 2016 BOT meeting, the Oakland Township Board approved the proposed Oil and Gas drilling ordinance for Oakland Township. The Board passed it in a unanimous 6 to 0 vote (Trustee Ferriolo was not at the meeting). It was very clear from Board member comments that the Board was in favor of approving the Ordinance. The purpose of the ordinance is to minimize the impact of oil and gas drilling operations in our Township. Supervisor Gonser commented that his questions regarding the ordinance had been answered by MDEQ’s response to his request for clarification. He concluded MDEQ “did not have disagreement with the ordinance.” Others who read MDEQ’s response interpreted their response differently, but we are grateful for the unanimous support from the Board for the ordinance. Thanks go to the the citizens that commented on the ordinance. Special thanks should be given to Erin Howlett, from Rochester Hills’ ‘Don’t Drill the Hill’s’, and Denise Demak, from Shelby’s ‘Citizens Against Residential Drilling’. 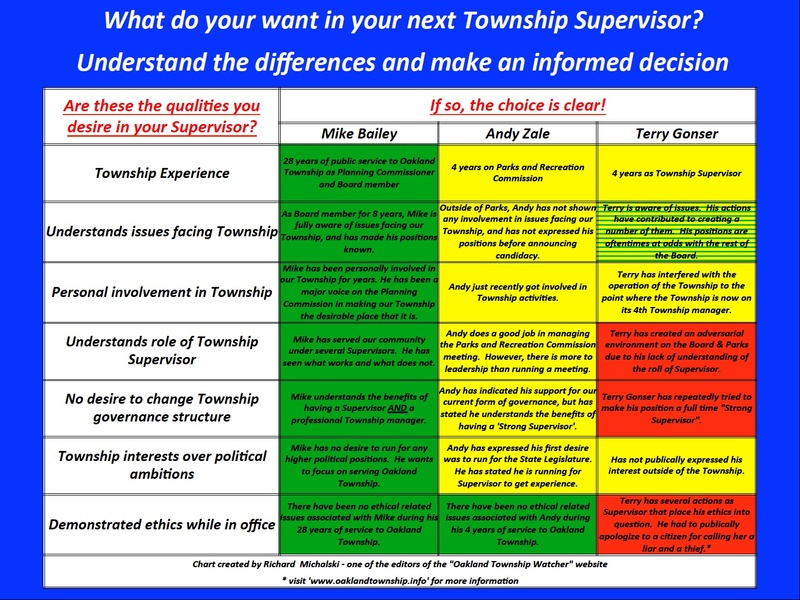 Both helped Oakland Township learn from their community’s’ experience on this issue. Why is this important to the citizens of Oakland Township? With the passage of the ordinance, Oakland Township is now protected, to the fullest extent under the law, from oil and gas drilling operations in higher density residential portions of our Township. We thank the Board and the Planning Commission for moving rapidly on this issue. This entry was posted in Planning and Zoning and tagged Board of Trustees, Oakland Township Board, Oil and Gas drilling in Oakland Township on February 10, 2016 by richardjmichalski.